File photo of Michael Nowacki, who is currently “heading West” according to him. NEW CANAAN — Michael Nowacki has broken up with the town. With experiences ranging from an arrest for creating a disturbance at Town Hall, cross-examining himself in trial, over 150 Freedom of Information requests and an unsuccessful run for the town’s top office in 2015, Nowacki has been through most things. A retired television ad sales executive, Nowacki has sold his 319 Lost District Drive house and confirmed he has left town. 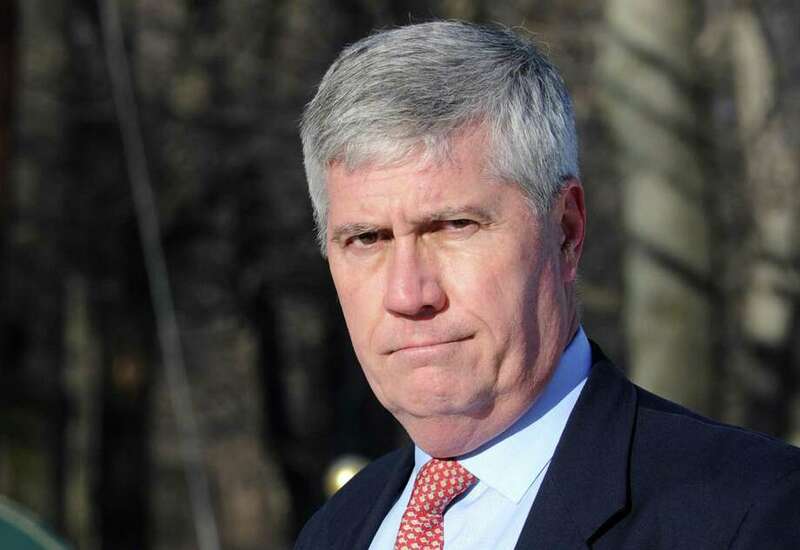 The New Canaan Board of Realtors shows that his home was sold on Dec. 18 for $1.18 million. Reached by phone Wednesday, Nowacki confirmed the sale and said: “I’m driving to the West coast and that’s all you need to know.” He hung up afterwards. Earlier this year, Nowacki had announced a bid to run for the town’s top office again. However, after some consideration, he opted out of submitting the required signatures to the Connecticut Secretary of State to appear on the ballot. A total of 3,117 signatures was the required figure to enter the First Selectman race this year. For the past couple of years, Nowacki was known for his prodigious use of the Freedom of Information Act and fervent criticism of various local government boards and officials. Nowacki ran as a petition candidate back in 2015 against then First Selectman Robert Mallozzi. The election had palpable tension between the two candidates, particularly when Mallozzi declined to publicly debate Nowacki in an event hosted by the League of Women Voters. Ultimately, Nowacki received 276 votes compared to Mallozzi’s 2,841. A 1974 graduate from the University of Southern California, Nowacki holds a bachelor’s degree in telecommunications and a master’s degree in journalism from the same university obtained in 1975. Nowacki’s outspoken attitude would oftentimes land him in trouble. Nowacki was arrested in 2010 for “creating a disturbance” at New Canaan Town Hall according to then Police Sgt. Carol Ogrinc. In May 2012, Nowacki was sentenced to 15 months in prison on charges of harassing his ex-wife and violating a protective order. Nowacki cross-examined himself, playing the role of both defendant and attorney, in a trial that bordered on the surreal. The state Appellate Court, however, reversed the conviction and acquitted him on the harassment charge in Mar. 2015. According to the town’s property appraisal database, Nowacki purchased his New Canaan home in 1993 for for $844,000. Its current appraised value stands at $1,549,100.